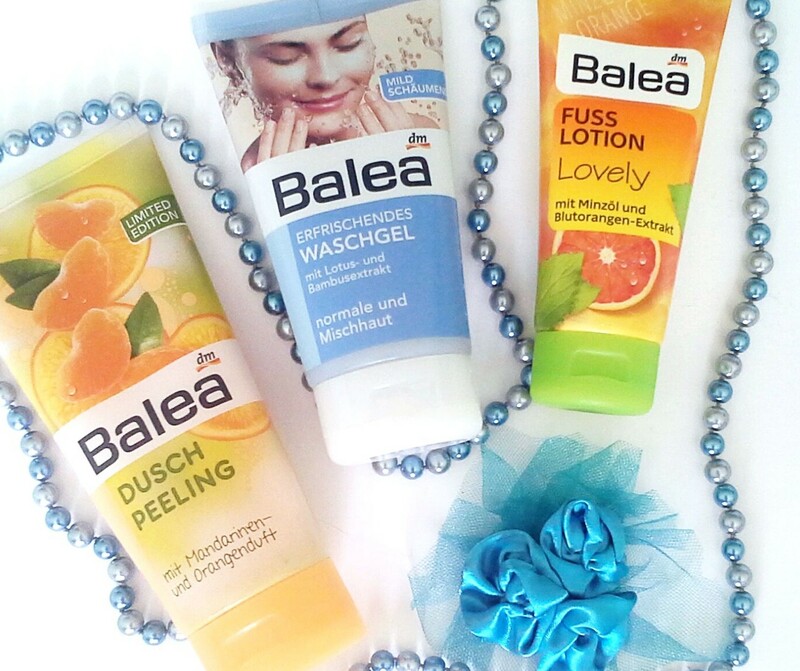 Today I have a second post of Mini Beauty Reviews, for this one I decided to review only Balea products. First, I love the smell. It's a very strong orangy smell. The peeling comes in a squeeze tube and the opening enables easy dosage. The product is on the thicker side. It is a big bottle and it will last you quite a long time, believe me. I use it once or twice a week, later I apply a body cream and my skin feels very smooth. I use this every day, morning and evening (except sometimes I use Afrodita cleaning foam, because I want to use it up). I switched to this one, because it is a lot cheaper than Afrodita (1.95€, I think) and it suits my skin better. It comes out like a gel, but it foams on your skin. It also cleans makeup, except it doesn't do a great job at removing waterproof mascara. I bought this mostly because of the smell. It smells exactly how it says, like mint and oranges. It kinda remindes me of some sort of candy, but I dont remember which one. I apply this at evening and put my socks on (yes, I do sleep with my socks on. It has to be very hot for me to take my socks off haha). So far I like it, it moisturizes my feet well.